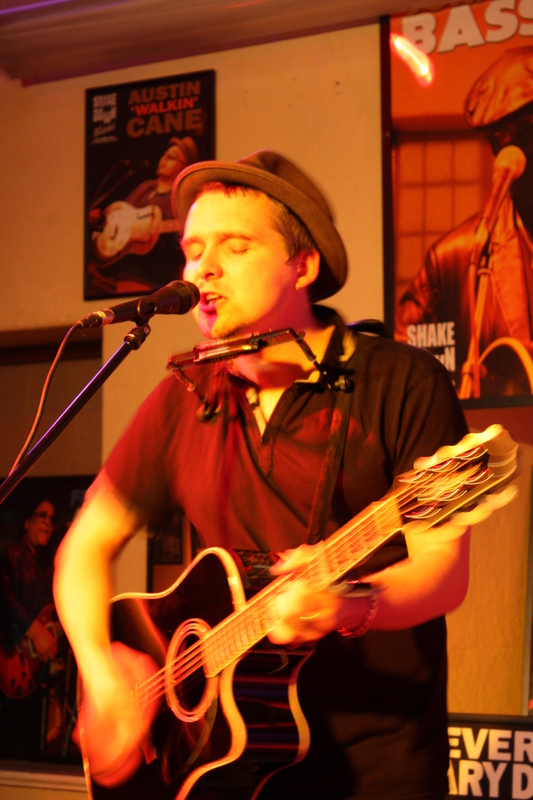 Sean Taylor (as a Trio) - Tickets £15SHAKEDOWN IS BACK! After discussions about the future, Ian and Martin, with Charlie on the bar will pick up the baton from Gerard. Shakedown Music (ShellyChillyCharlie) Productions,will now promote concerts inspired by Gerard and the amazing story that is Shakedown Blues. We are also grateful to Hugh & Jan Nicholls for supporting the future of Shakedown and providing 'digs' for the Artists for our 1st show back. The first concert back, will be the return of Sean Taylor on his 4th visit to Shakedown. This time as a Trio, with his new album, recorded in Austin Texas, 'Flood & Burn' and favourites from his fine repertoire of albums. On percussion PAULINA SZCZEPANIAK graduated from the Faculty of Orchestral Percussion. A versatile musician, whether as a soloist, chamber and orchestral musician as well as a drummer/percussionist in a band. On violin HANA PIRANHA a classically trained violinist experience She is the frontwoman of powerpunk band Hana Piranha and member of rock band Birdeatsbaby. Hana's influences range from Nine Inch Nails, PJ Harvey and Leonard Cohen through to Sibelius and Tschaikowski.Hana has toured and recorded with Sean Taylor for three years. A Shakedown gang, including Gerard and Rowena, enjoyed a brilliant 'Sean Taylor Trio' evening at the Stables, Milton Keynes a couple of months back and we all agreed it would be a fitting way to kick start the Shakedown series once more. In the past he has borne comparison with Nick Drake and Jeff Buckley, but has now emerged as a distinctive artist in his own right, with superb guitar playing and his hushed, bluesy vocals.If you've been his previous shakedown gigs, you'll know you're in for a treat.